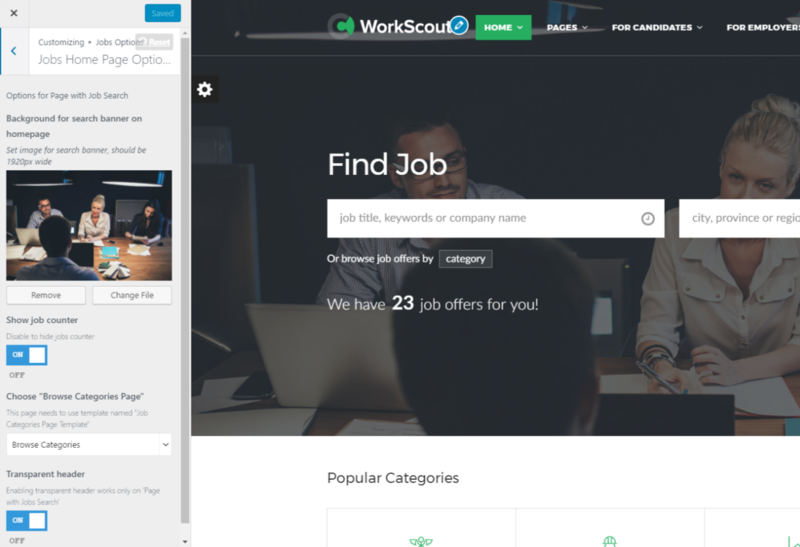 How do I add image for search area in WorkScout? you can upload/select image from media, for the best results, the images size should be 1920 × 720, after you select it, click "Choose file". lick Save Changes, that's all! How to display the search box on my homepage?